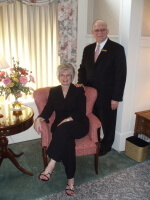 The Scott Family is dedicated to providing the highest quality in funerals, memorialization, and bereavement care. We accomplish this by ensuring that all families served receive the highest level of professionalism, dignity, care, support and choices possible. We have established ourselves as the pre-eminent death care provider, committed to standards of performance and excellence, which serves as the hallmark of the industry.